Tim Cook E-Mails Apple Employees to Assure Them "Apple is not going to change"
Hearing that Steve Jobs has left Apple as its CEO could be a scary event for the employees. The man has led the company to being one of the most valuable in the world, so it stands to reason that some people that work there might get a bit nervous at the thought of someone else leading them. Even though Tim Cook has been the interim CEO since Steve Jobs announced his medical leave of absence back in January, fulfilling that role in that capacity vs. doing it full-time can make a world of difference. To quell some of those fears, apparently Mr. Cook sent out an email to the employees today that has found its way to Ars Technica. The site confirms the letter was passed to them by a reliable source and that the e-mail headers appear to be in order. 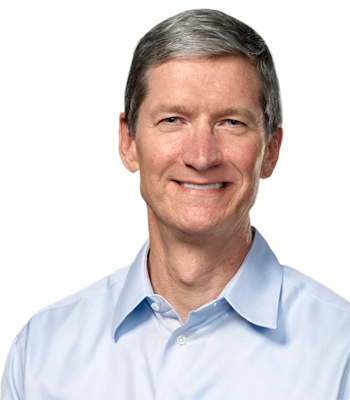 Knowing that the eyes of the world, the employees and the stockholders are on him, along with Steve Jobs looking on from the sidelines, it seems a pretty safe bet that Cook will stay the course that has been put before him.